Fashion Month kicked off across the pond with J.W. Anderson, Simone Rocha, Markus Lupfer and more. For the first time, a single designer took home the night's two top honors. 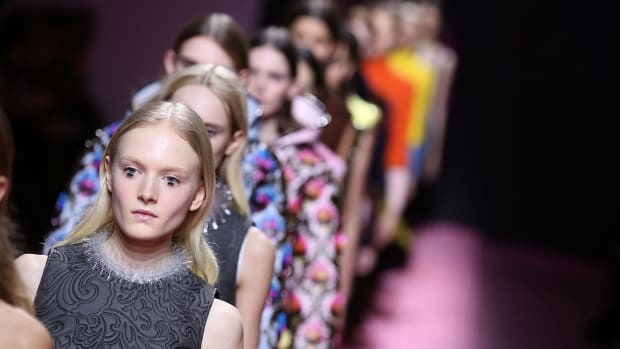 The young British designer debuted his first-ever womenswear collection for the LVMH-owned leather house in Paris on Friday. Like a fashion Macbeth, things are never what they seem when it comes to this designer. See which designers channeled Middle Earth, Ken dolls and Flash Gordon. Lily Collins is looking mighty pretty for Lancôme. See what else all the fashion peeps are up to in today's fashion news roundup. Another buzzy young designer has officially joined the luxury big leagues. And, another seat has been filled in the ongoing game of musical chairs among luxury heritage labels. So what does J.W. Anderson's collection for Versus look like? For one, there doesn't seem to be much of a disparity between the men's and women's pieces. Spring jackets are tricky business. How do you find one that's not too thick, but will still protect you during those breezy evenings? Are you more of a trench coat or light leather jacket type of gal? We picked the brains of some of our favorite outerwear designers (Veda, Confezioni Crosby, Gryphon and more) to bring you some tips on how to find and wear the perfect spring jacket for you--and came up with a handy little guide to find the best ones. We've scoured the market to find the best in five iconic spring jacket styles: the trench, the leather jacket, the denim jacket, the utility jacket, and the rain jacket (we already covered bombers, fyi). Despite the fact that there are literally hundreds of e-commerce sites, very few online-only sites have managed to crack the mainstream market. Even fewer have cracked the online luxury market. Net-a-Porter, founded in 2000, has pretty much ruled the online-only luxury market with an iron first for the past 10 years--but that could soon be changing. As more brands and retailers go online, consumers and CEOs are beginning to look at online-only luxury differently, heralding a new batch of innovative e-commerce sites. One of those sites is the UK-based Avenue 32. New show reviews and galleries are in from London! 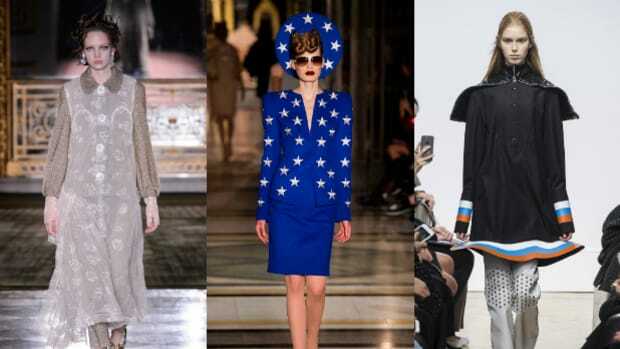 Check out Erdem, Jonathan Saunders, and J.W. Anderson. Congratulations are in order for J.W. Anderson and Simone Rocha today. We can't wait for you to check out the latest batch of our London show notes! Read up on J. JS Lee's simple lines and bold colors, J.W. Anderson's "Treatment Room" collection, and Lucas Nascimento's bright knits.